Smooth hardwood sticks are great for making a wide variety of craft items. Splinter free with rounded edges for safety. Ideal for making birdhouses, napkin holders, planters, etc. Sticks measure 4.5" x 0.38". Each pack includes 150 craft sticks. Sold as 12 packs for a total of 1800 craft sticks. 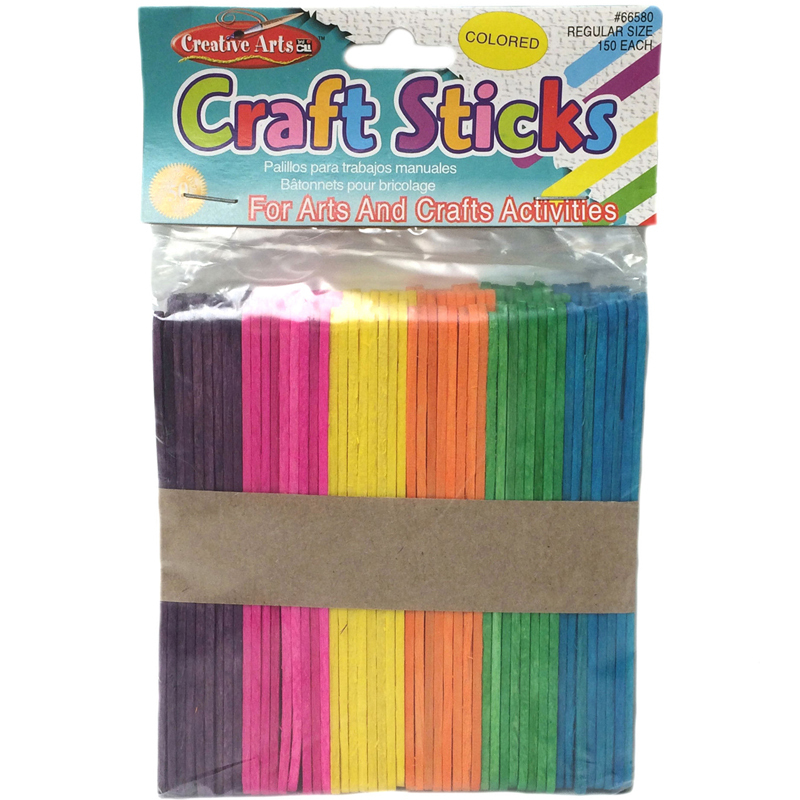 The (12 Pk) Natural Craft Sticks 150per Pk can be found in our Craft Sticks product category within the Arts & Crafts. Smooth hardwood sticks are great for making a wide variety of craft items. Splinter free with rounded edges for safety. Ideal for making birdhouses, napkin holders, planters, etc. 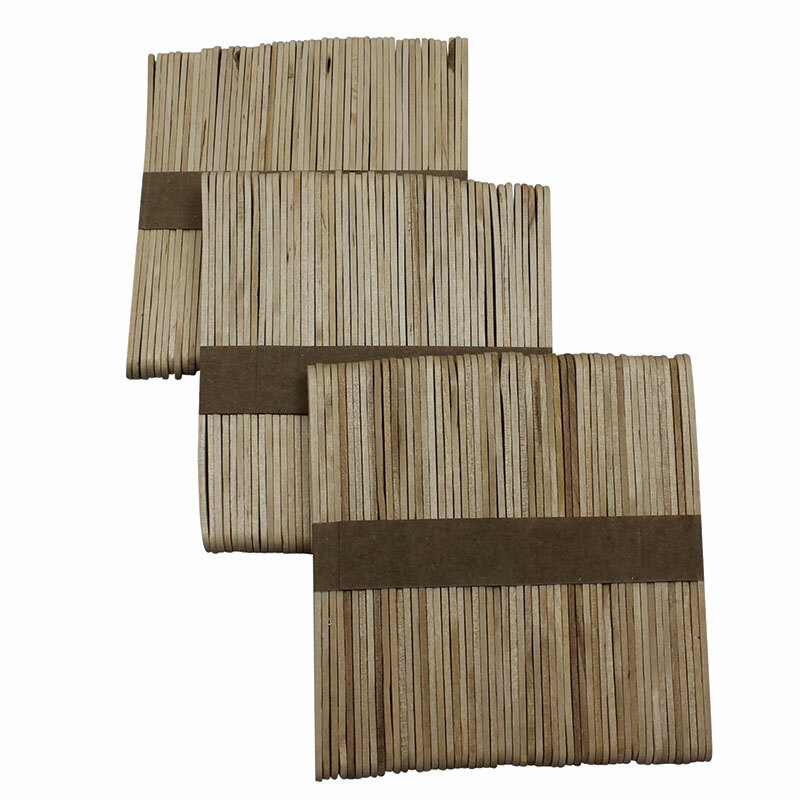 Each individual pack contains 150 Craft Sticks, Bundle of 12 packs, 1800 Craft Sticks total. Ice cream stick sized wood craft sticks are designed for a multitude of arts and crafts projects. Each stick is 4.5" long, 0.38" wide and 2 mm thick. Each pack includes 150 pieces in bright hues assortment. 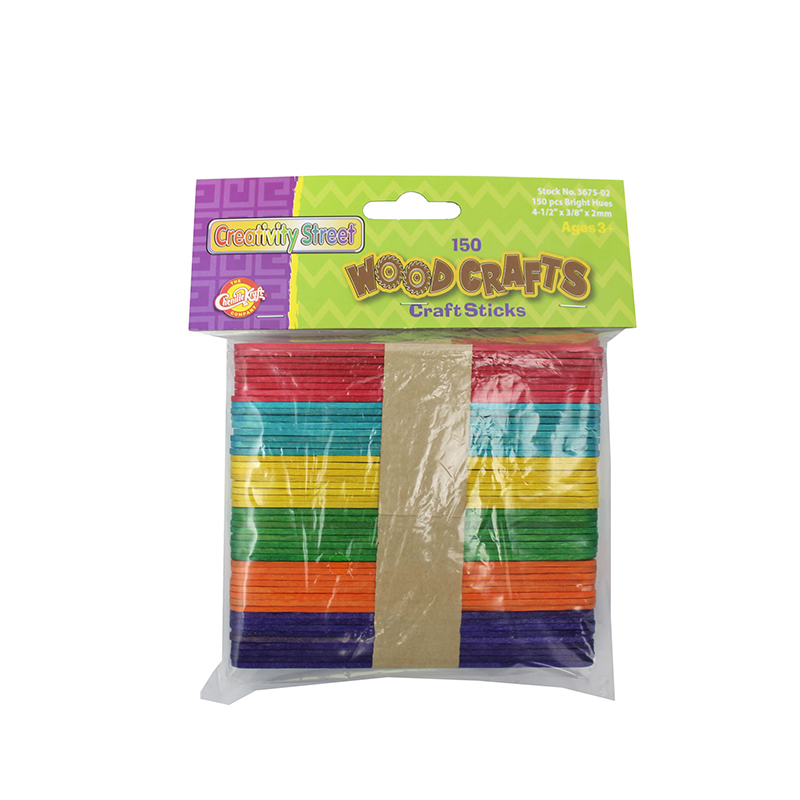 Bundle includes 12 packs for a total of 1800 craft sticks.